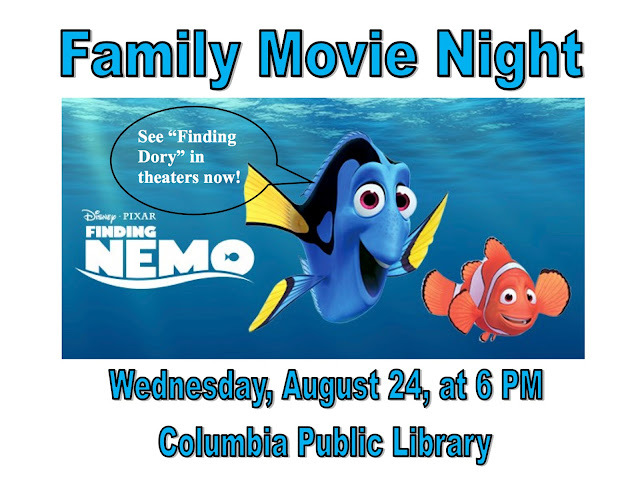 COLUMBIA SPY: Library Happenings - Wednesday, August 24, 2016 - "Finding Nemo"
Library Happenings - Wednesday, August 24, 2016 - "Finding Nemo"
Great idea!!! Give our youth something to do. Kudos. Meanwhile let the rest of the youth move out of the TOWN if they can't behave, take your parents with you since they can't control you.